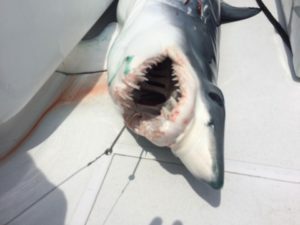 Shark Fishing is Exciting and adventurous, click the tab above for more info. 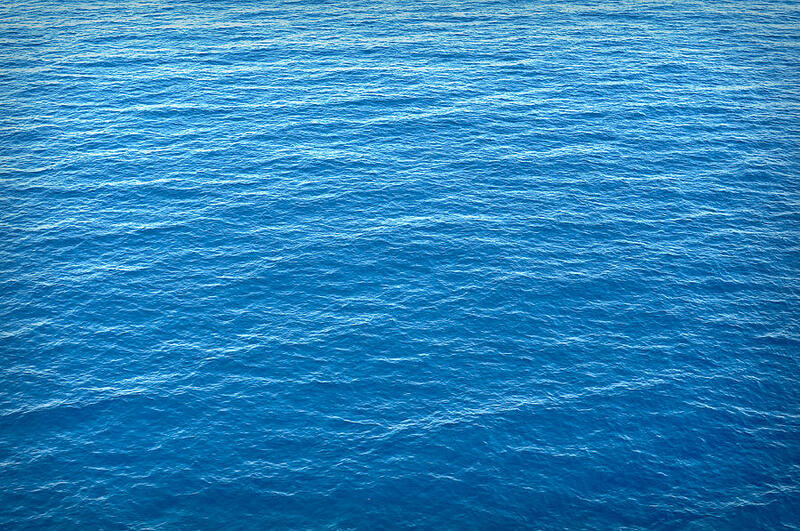 Don’t be left on the dock. Call 401-744-2804 for more information. Charters leave Point Judith, Rhode Island. 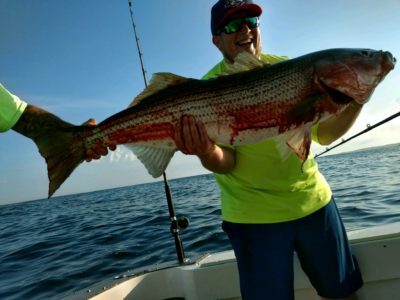 Most charters are half day or full day. 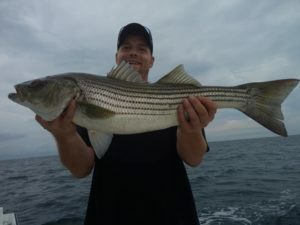 We also offer custom time Fishing Charters to fit your time schedule. 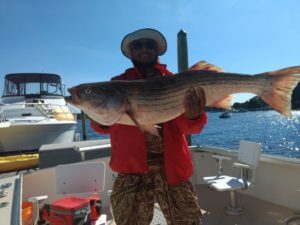 With Jackhammer Charters and Captain Jack and his first mate, it is all about customer needs and satisfaction, for a fantastic day on the water. Call Captain Jack @ 401-744-2804, or email Captjackhammer2@gmail.com and Let us Hook you up! 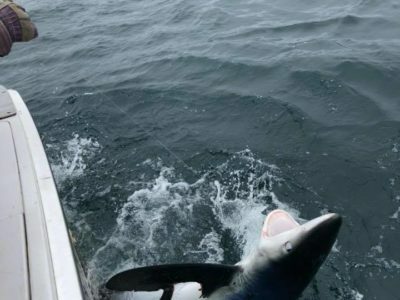 Jackhammer Charters is a family run business operated by Captain Jack in lieu of his over 30 years experience. You will be very comfortable on our 32 foot Luhr’s with wide beam boat makes for plenty of room. We can offer different size outings for your group of up to 6 people plus crew. 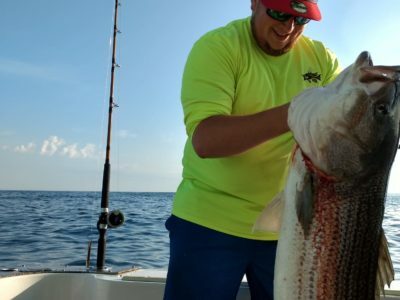 (We have access to more boats for larger groups) Call for pricing and availability. 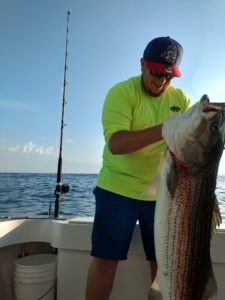 Whether fishing with your buddies or making it a family trip, Jackhammer Charters will make it an exciting adventure. Captain Jack enjoys seeing the smiles of the kids who reel in a monster fish! We do everything possible to make accommodations for people with disabilities call us@ 401-744-2804 to see if we can make it happen for you. 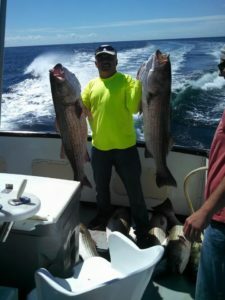 Jackhammer Charters is a family run business, operated by Captain Jack Carpenter with over 30 years experience. 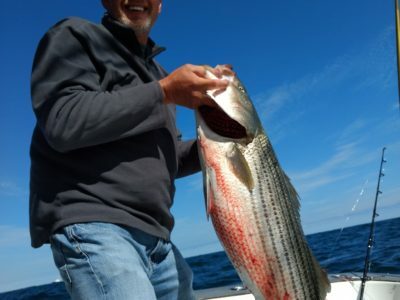 From Point Judith (Snug Harbor Marina) it is less travel time to the fishing spots, that gives you more fishing time for your crew during your charter. 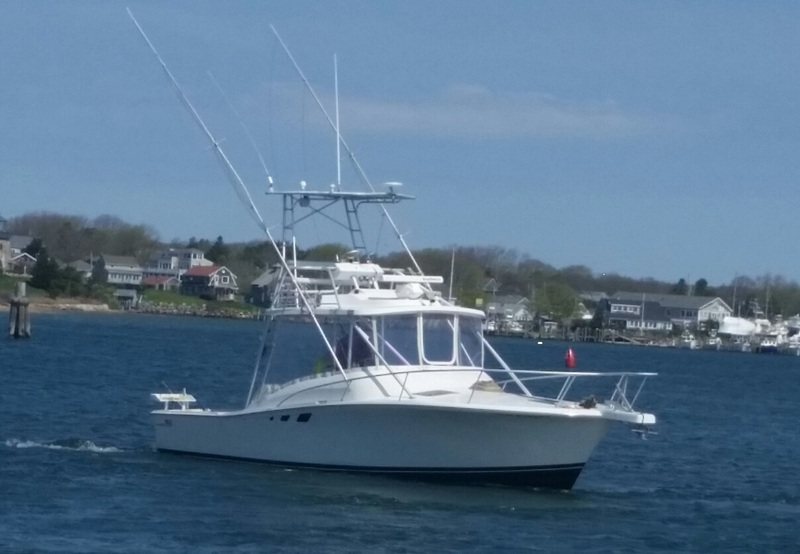 Our 32ft Luhr's Boat with a wide beam has plenty of room for 6 people and crew. 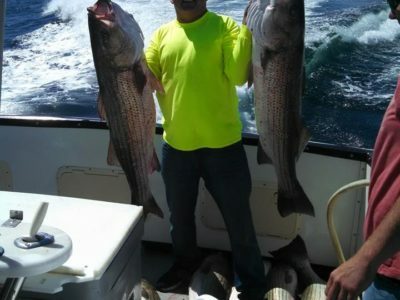 We can accommodate larger groups and we do off shore charters too. There is a rest room facility and a Microwave for your added comfort.